Home to a major marine reserve, a large densely forested National Park, and some of the best “critter” diving on the planet, North Sulawesi has a little something for everyone. The province of North Sulawesi is centered around the large city of Manado and the satellite port city of Bitung, at the far northern point of the island of Sulawesi. 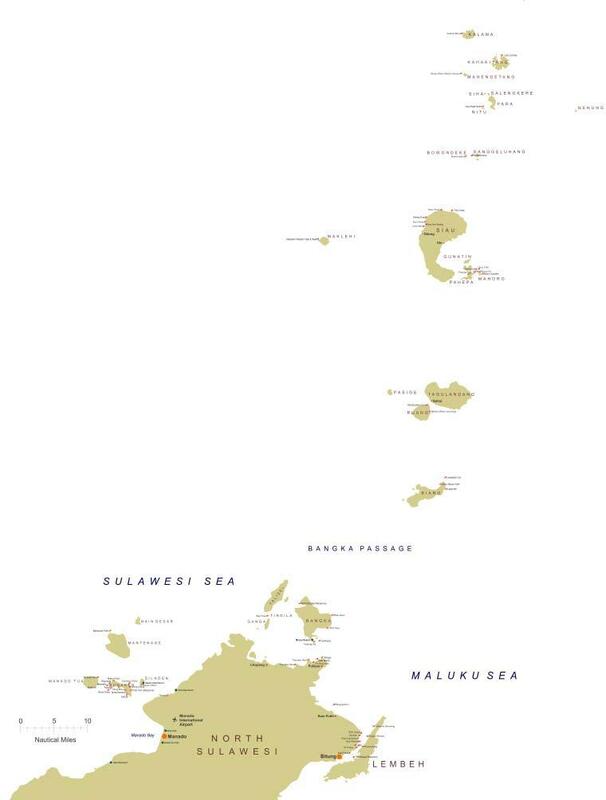 With an international airport in Manado and port facilities in both Manado and Bitung, the area is well located to welcome yachts arriving from Palau (650nm), Kota Kinabalu (700nm) or the Philippines (400nm), as well as popular Indonesian cruising grounds such as Raja Ampat (350nm) or Komodo (700nm). The western tip of North Sulawesi is home to the Bunaken National Marine Park, made up of a group of five islands predominantly featuring clear aquamarine water and stunning vertical coral encrusted walls. 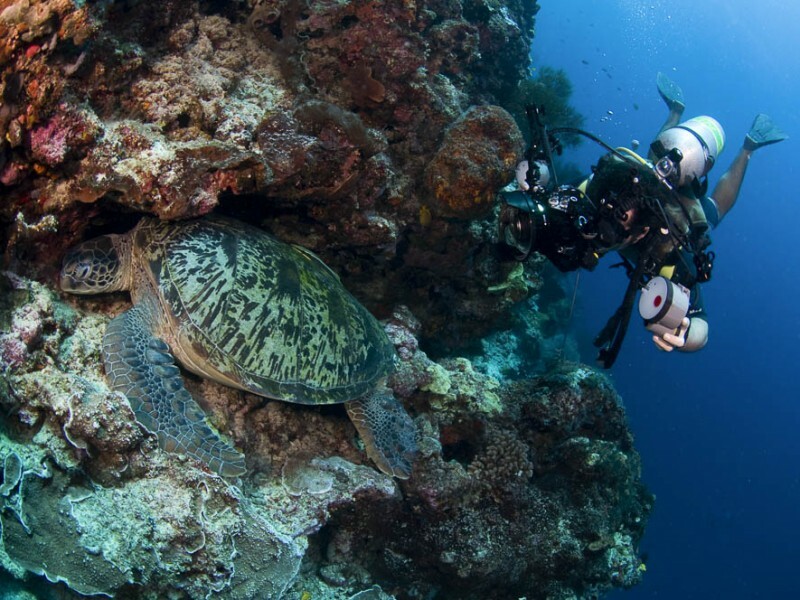 These islands are conveniently located only 10 miles from Manado City and offer high quality diving close to the port. The northern tip of the mainland is home to the Tangkoko National Park with the Bangka island group lying a short distance from shore. On the east side of North Sulawesi, lies the major port of Bitung and the adjacent Lembeh island which hosts some of the best critter diving in the world. The Manado side of the island offers safe anchorage off the city and close to the mainland, but the islands of the Bunaken area are too steep for anchorages so standing off is generally required during daily activities. The Lembeh Strait on the eastern side offers safe and picturesque anchorages year round with short tenders rides to the dive sites and shoreside activities. Manado airport is large and modern and offers full immigration and customs facilities for arriving jets, there are also multiple daily flights to Bali and Jakarta as well as three flights per week to and from Singapore. 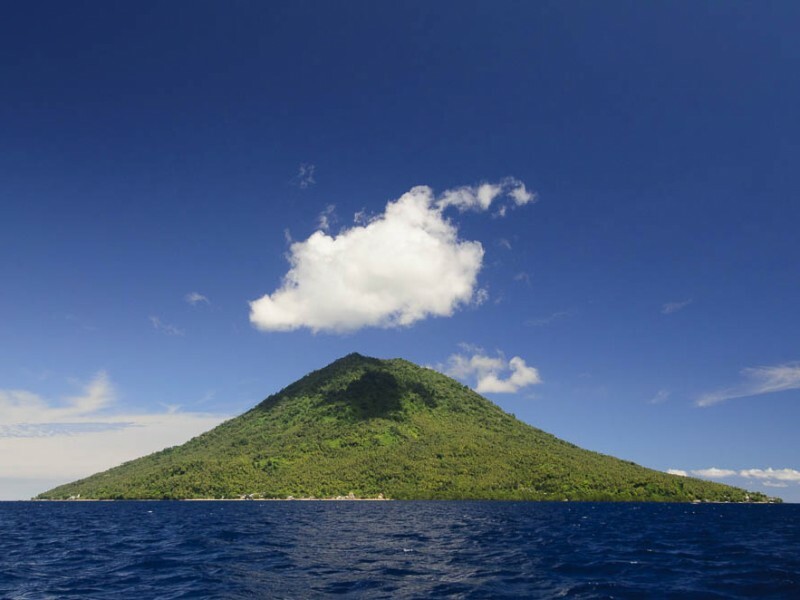 The province of North Sulawesi is ringed by a string of perfectly shaped volcanoes, with the tallest being Lokon at 1,995 metres. 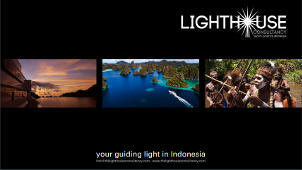 Several of these are easily accessible from the Manado, with only Lokon requiring an overnight camping trip. The panoramic views from these mountains are certainly well worth the hike. No trip to this area is complete without a visit to the famous Tangkoko National Park, an 8,700 hectare nature reserve that is home to black celebes crested macaques, knobbed hornbill birds, and the world’s smallest primate: the spectral tarsier. Tours to the National Park can be arranged from either Bitung or Manado and can range from a full day tour to a late afternoon/evening event to see tarsiers feeding. For those wanting to see a little something different, the Minahasa highlands are located about one hour by car from Manado, the area is home to several mountain lakes and one of the world’s more unique traditional food markets. With three distinctive diving areas located within very close proximity, the North Sulawesi region offers a little bit of everything for divers. The Bunaken National Park is home to sheer walls with thrilling currents sweeping along so coral reefs teeming with clouds of fish. The Lembeh Strait is known as the “critter capital of the world” and the diving here is completely different from Bunaken; although the water is not the clearest, the amount of marine life is astounding. The “muck diving” critters found on the sandy slopes include wonderpus, rhinopias, frogfish, and even the poisonous blue ring octopus, along with hundreds of other strange fish and invertebrate species. As a third option, the small islands around Bangka Island, off the north tip of Sulawesi, offer a good mix of both colourful current diving as well as many of the critters that have made Lembeh famous. A trip to Sulawesi shows the diversity of the marine and natural environment of Indonesia.